The Mahabharata is a Sanskrit epic originating from India, and it's certainly no easy feat for a theatre director to do the saga justice. 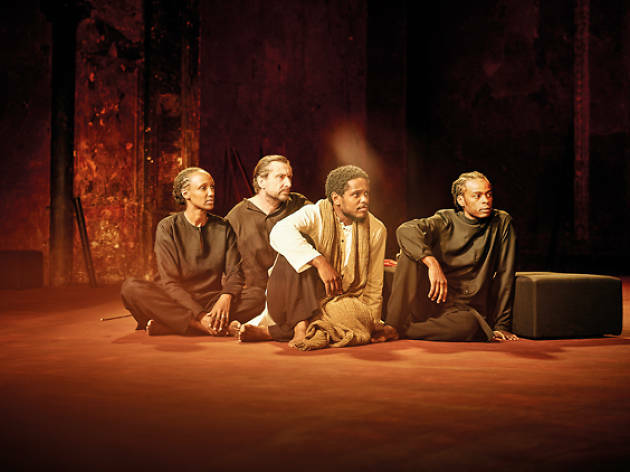 Yet, Peter Brook took on the challenge back in 1985, and the result – a 9hr performance in both English and French that ended up touring the world for four years – consolidated his reputation as one of the most formidable directors of our time. And now, at the age of 90, Brook is revisiting the seminal work by adapting the final, climactic chapter of the work into a standalone play, Battlefield. Co-produced by the Singapore Repertory Theatre and the Young Vic in London, Battlefield opened at the Théâtre des Bouffes du Nord in Paris – the company for which Brook served as artistic director for three decades before stepping down in 2008 – in September. This month, it's due to arrive in Singapore before embarking on a world tour to destinations including London, Hong Kong and Rome. The play focuses on the moment that two sides of the mythological ruling family, the Bharata, face off against each other for ultimate control of the land.